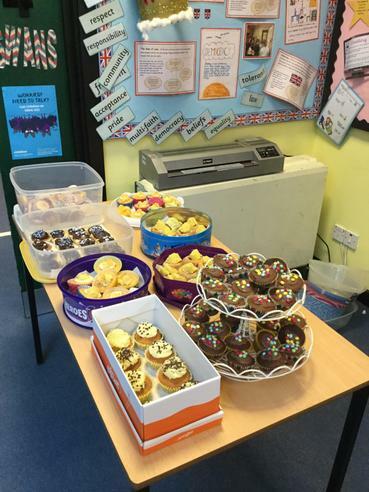 What a great day we all had fund-raising for 'Children in Need' at Aveton Gifford Primary School ! 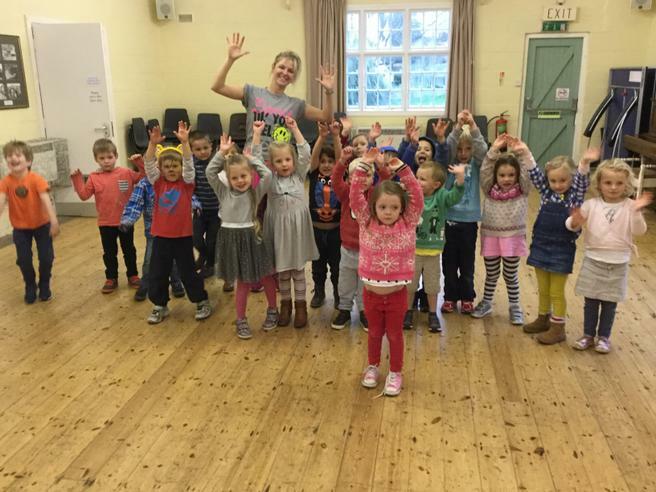 Children and staff paid a £1 to come to school wearing mufti. 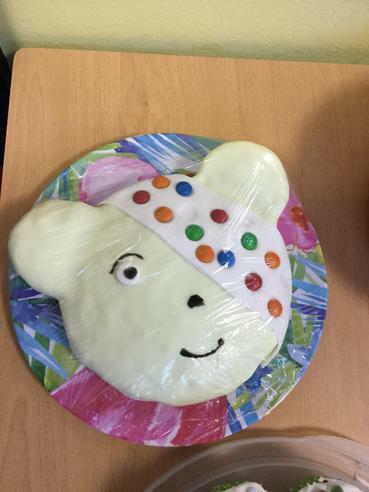 Many of the children came to school with their faces painted to look like 'Pudsey Bear' and Miss Drabwell made 'Pudsey Bear' ears for all of the teachers to wear - they looked lovely! There was lots of biscuit decorating (and biscuit eating! 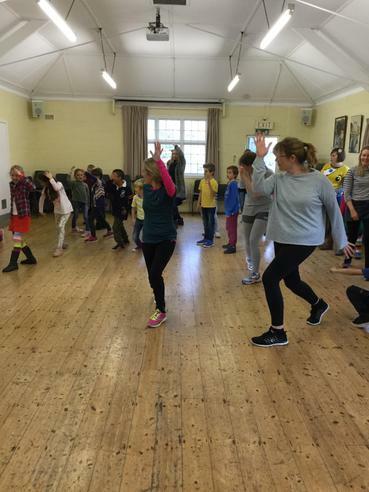 ), with 'Smarties' galore before each class joined one of our lovely Mums, Mrs Hannah Winzer, for a sponsored 'Zumba-thon' in the Village Hall. 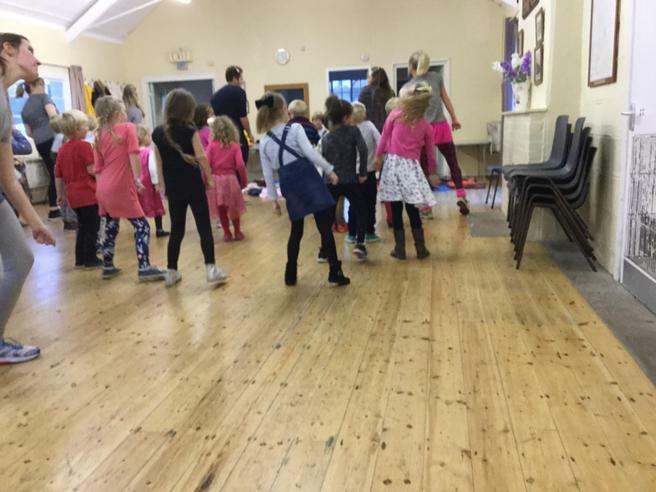 We were delighted to welcome the children and staff from the Pre-School at The Hive to join in the fun too. 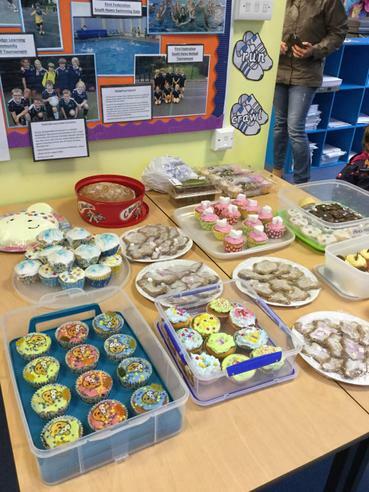 After an exhausting afternoon of frenetic exercise, everyone returned back to school for the last fund-raiser of the day, one of our very special Cake Sales. We would like to say a very big thank you to all of our parents, carers and family members for helping us to support 'Children in Need' again this year. 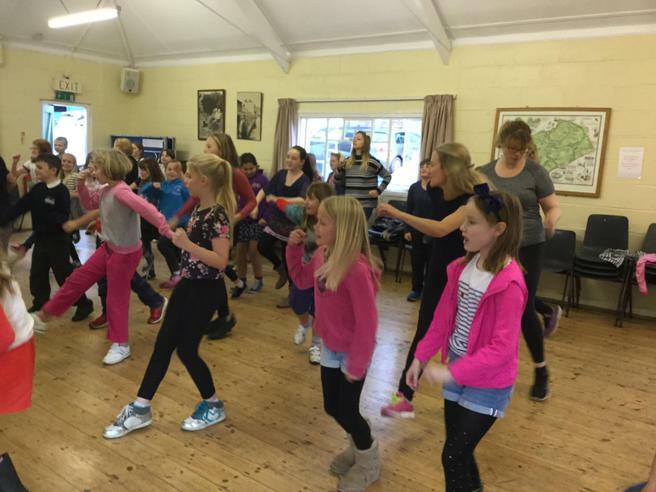 Without your sponsorships, donations and cake-baking we wouldn't have been able to raise the amazing amount of £455.66. THANK YOU.